Four centre clear glazed panels sit between rectangular panels and side panels in contrasting pre-finished Walnut patterns. 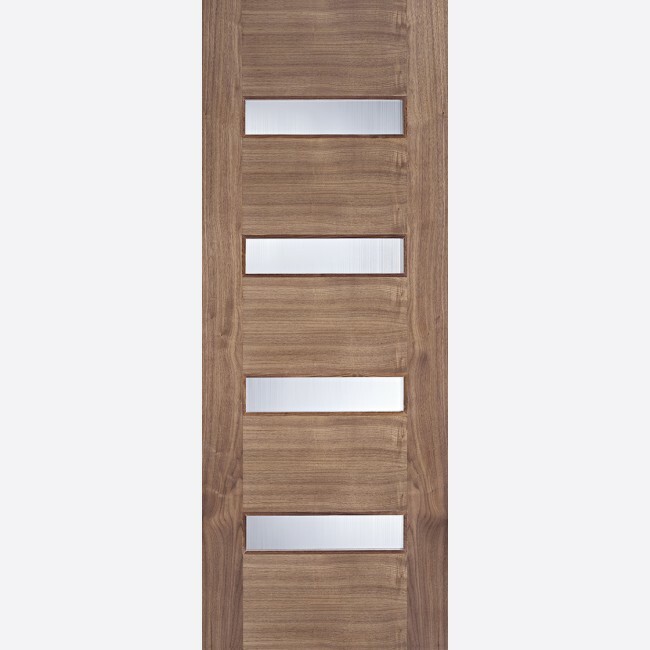 Walnut Monaco Clear Glazed Doors are manufactured from engineered door components which can include MDF, particle-board and laminated timber. LPD Clear Glazed Walnut Monaco Door Codes - MONWALCG27 - MONWALCG30 - MONWALCG33 - must be treated to manufacturer's instructions. LPD Glazed Doors all incorporate either easy clean, laminated frosted glass or linea toughened glass as standard with the added benefit that each door also has a FD30 firecheck Fire Door variant. 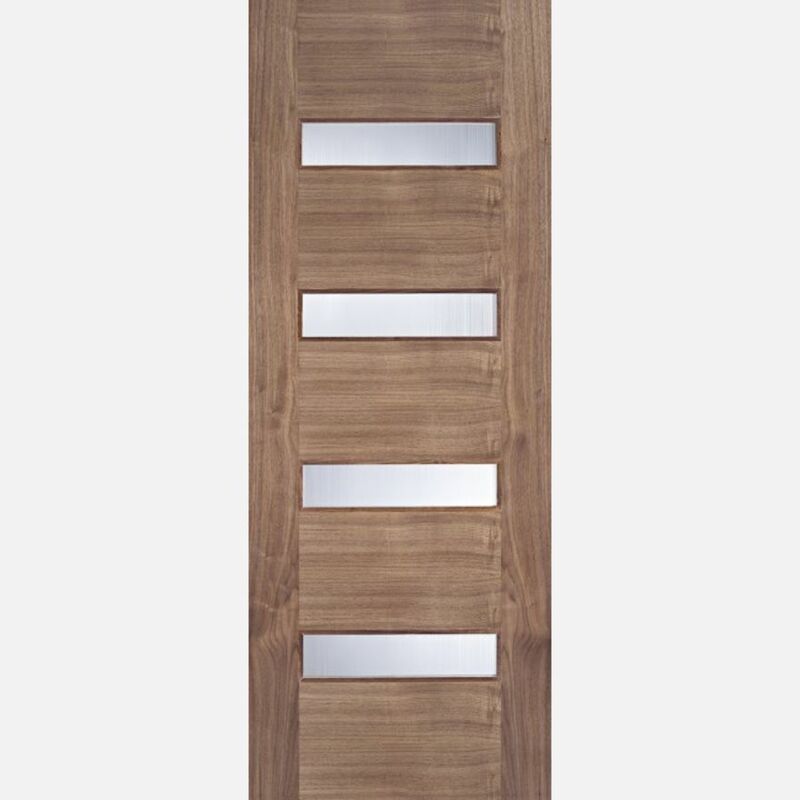 - We cannot exchange Walnut Clear Glazed Monaco Doors after order - LPD Monaco Clear Glazed Walnut Doors are supplied as a Special Order. E. & O.E. see T&C - We do try to keep prices and specifi­­­­cati­­­­ons of LPD Monaco Clear Glazed Walnut Doors correct, but mistakes can made!